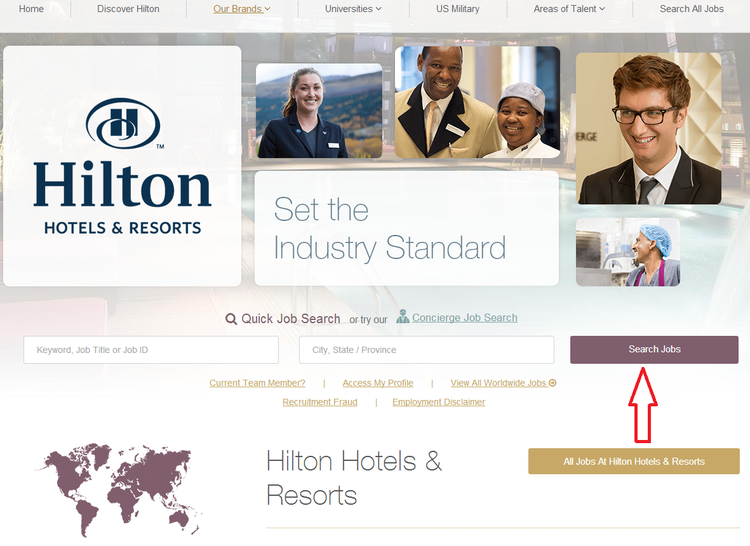 To apply for a position at Hilton online, you need firstly go to jobs.hiltonworldwide.com, search for possible jobs by entering certain information within the search box, keyword, job title, job ID, city state, province and so on included and then click “Search Jobs” to continue. 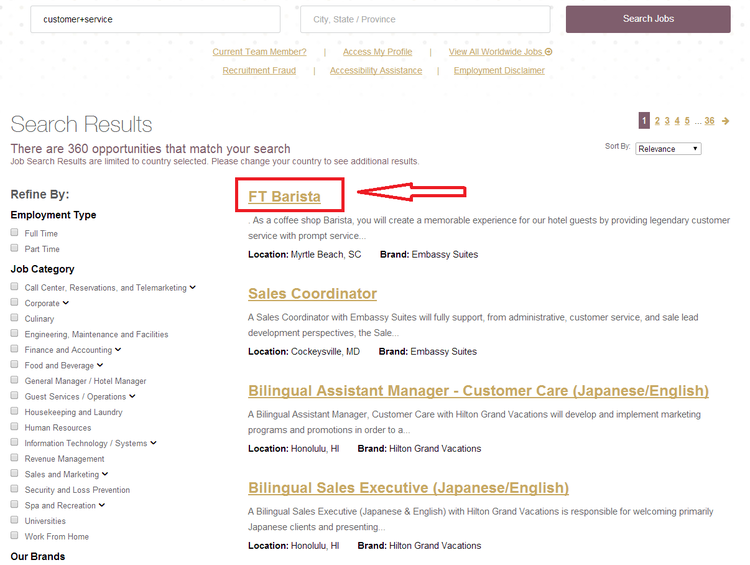 All available job openings will be displayed in the new page according to key information you’ve entered. You can click the position you’ve chosen to go on, or refine the search results by choosing employment type, job category and brands on the left, which may do you a great favor to find your pointed position as soon as possible. You need then to read thoroughly about the job description of your chosen position and make sure that you are not wasting time to apply for a job that you are not fit to. Scroll down your mouse and click “Apply Now” to move on. 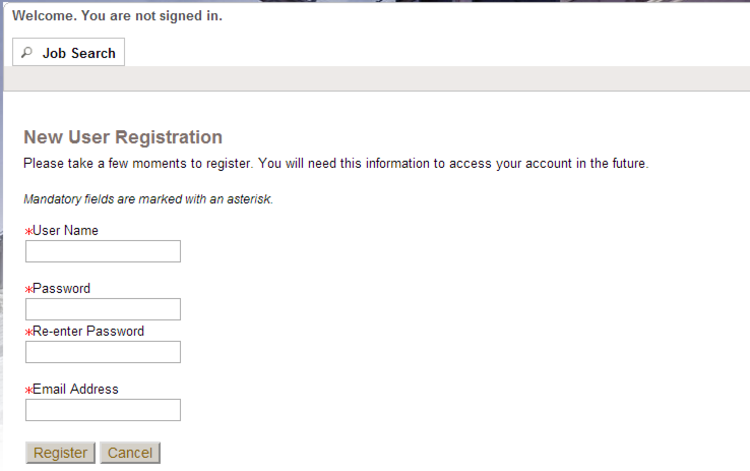 After you’ve read Hilton Hotels & Resorts’ Privacy Agreement and chosen a language you’d like to continue, you are now required to create a new account if you are a new user, or you can simply log in by entering your user name and password if you are a returning applicant. 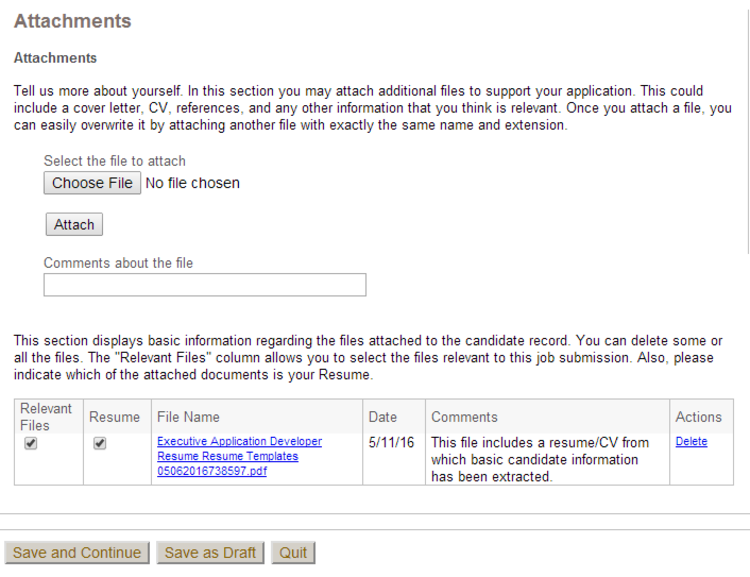 There are three ways for you to upload your resume. 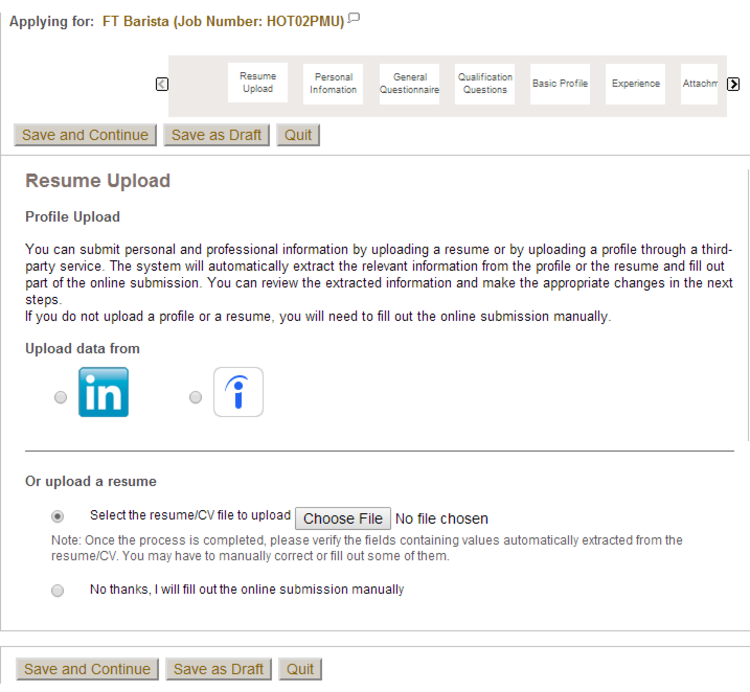 Firstly, you can submit your personal and professional information by uploading a resume.profile through a third- party service, LinkedIn and Indeed included. 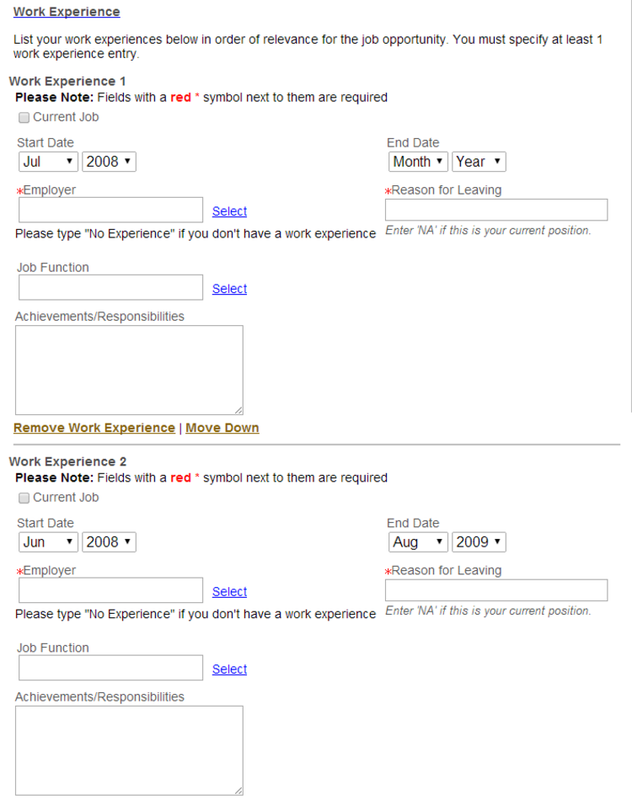 Secondly, you may upload your resume by choosing a profile from your local computer. 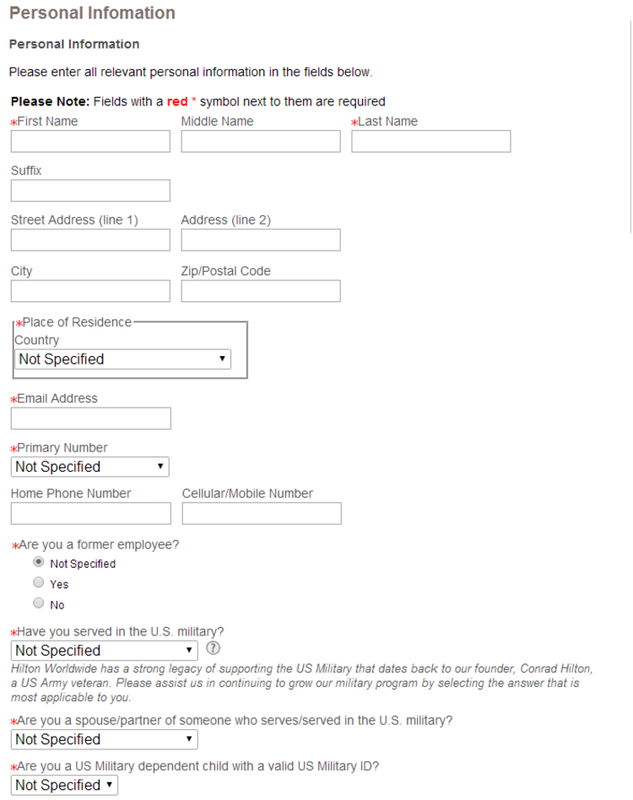 Thirdly, you can also manually fill out the online submission. This article will take the second method for example. Click “Save and Continue” to move forward. In this step, you shall provide Hilton Hotels & Resorts with all your personal information by filling out all needed information, including your name, country, state, phone, email address and so on. Note that all asterisk parts are required. Click “Save and Continue” to carry on. 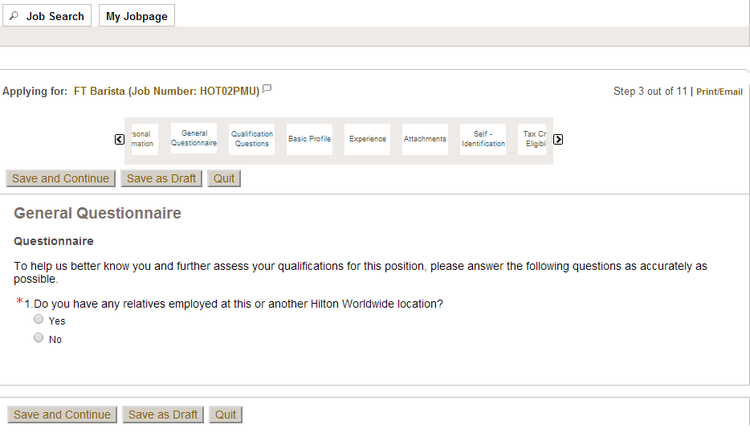 Before you go any further of your online application, you need to complete certain questions within Hilton Hotels & Resorts’ questionnaire to help it better know about you. 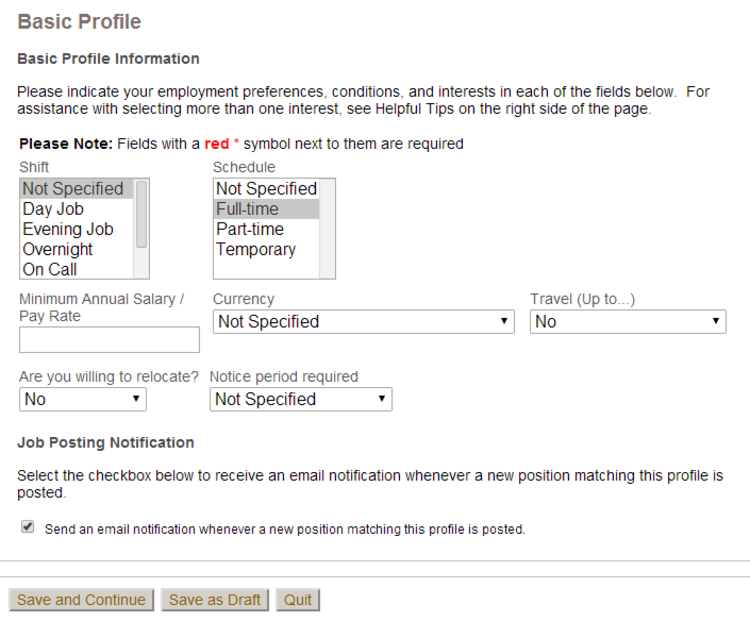 Offer your basic profile indicating your employment preferences, conditions and interest to help Hilton Hotels & Resorts better screen candidates. To gain higher chance of getting hired, you shall then tell Hilton Hotels & Resorts about your work experience and education background specifically, which may largely prove your qualifications. To complete your online application, you are now needed to offer your relevant attachments, self identification, tax credit eligibility, eSignature and summary. Be sure to view all information you’ve filled out within the application form before you submit it, for many employers would like to filter candidates by their responses to certain questions. You will get contacted if you are proved to be equal to the job. 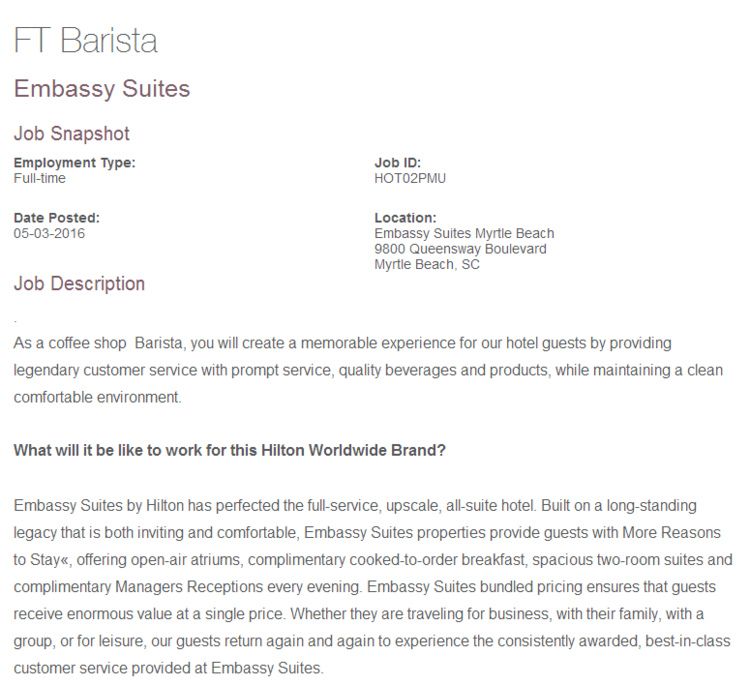 Click hilton.com/careers to apply for Hilton jobs online.